Collection of 5 various sized amber brown glass bottles have been carefully put together for you to fill with all your favourite zero waste and eco-friendly bathroom products. 2 x Small 300ml: Handwash, Moisturiser. These stylish reusable toiletries bottles all come with a screw lock-pump dispenser, meaning you can refill and lock if travelling with. The amber glass protects products from UV light, meaning your favourite bath oils or lotions are protected and keep nice and fresh. The bottles are also 100% recyclable and their pumps BPA free. 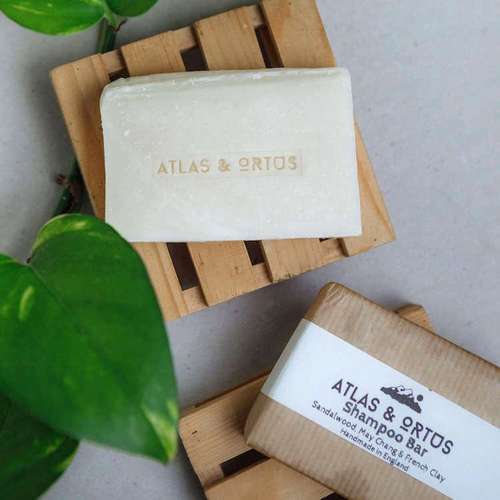 A perfect eco-friendly gift for those looking to reduce the amount of disposable plastic in the bathroom. If you would like to change the labels please leave a note at the address part of checkout. Materials - Glass bottle, BPA-Free PET plastic pump.